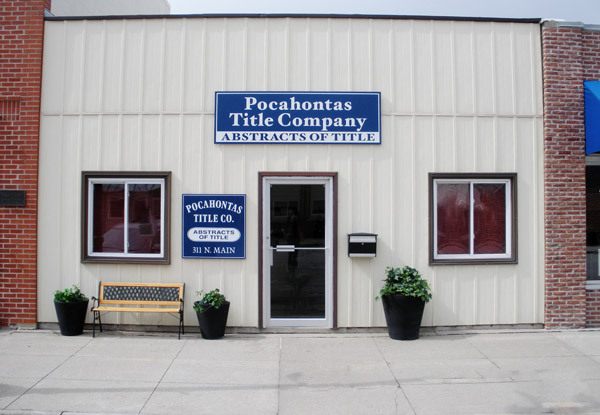 real estate services in Pocahontas County. 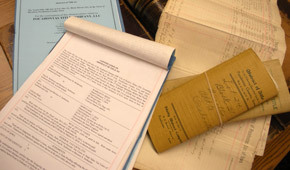 If you need to have an abstract of title brought up to date, or if you need to have a search made for liens on a tract of real estate, you need to look no further. Call 712-335-4800 and we will get started on your project. good, portable sign for the announcement of community or family events. It was such a good idea that we wore out our first sign and are now on sign #2. 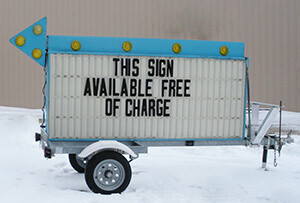 The use of this sign is free to anyone in the Pocahontas community or adjacent areas. If you want to use it, call us (712-335-4800) and we will get it ready to go.